Not too long ago (and borrowing from Rodgers and Hammerstein), I was that girl who cain't say no. As a result, I had tons of books to read from Netgalley, from various publishers, and from people who organized book tours for various bloggers. At first it was great and there were books arriving at my door on a daily basis. But there was also a downside -- I started noticing that I had little time for the books I'd been buying that were starting to seriously pile up. So with a few exceptions, I quit accepting offers and got back to my own tomes which had been sadly neglected, and became a much happier person. 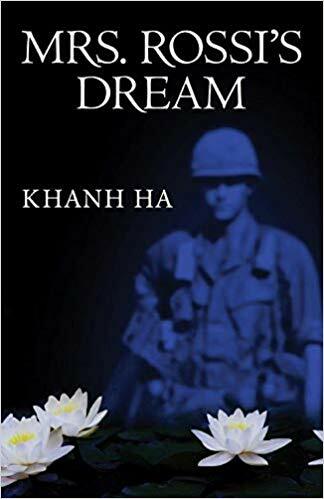 But I will always make time when asked if I would like to read a novel by indie author Khanh Ha, who has been the recipient of several awards for his fiction. Mrs. Rossi's Dream is his third novel, and in my opinion, the best he's written. my copy from the author, thank you!!!! 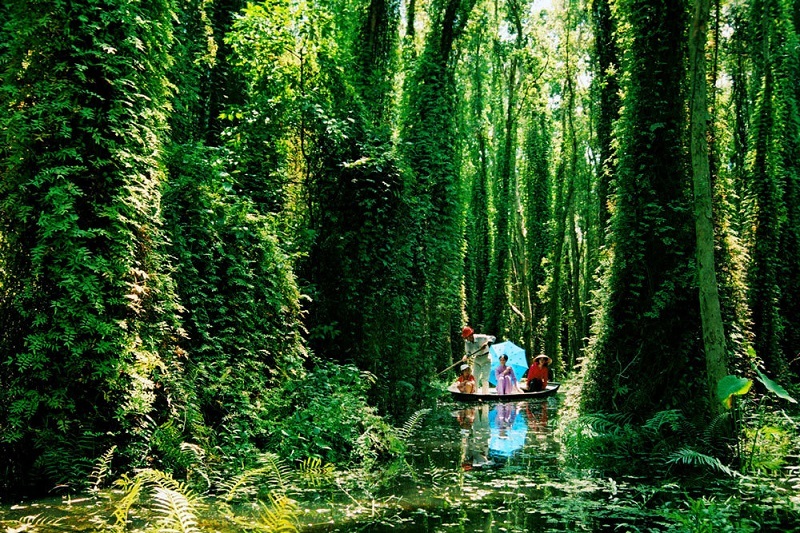 Once again, the author takes us into the vivid but harrowing landscapes of Vietnam. 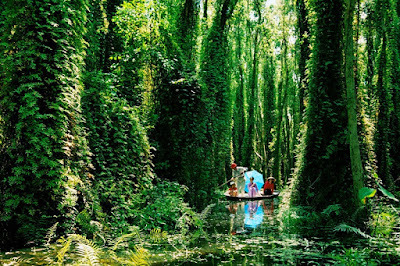 The Lower U Minh National Reserve in the Mekong Delta is teeming with life, but at the same time it is also a place of death. During the years of the Vietnam War, as we are reminded, it was the "territory of IV Corps," but it was also home to North Vietnamese forces and the Vietnamese civilians who lived there. Heavy casualties on all sides were suffered in the area, where all too often the bodies were not recovered -- in this place, "The dead remain where they died." Some twenty miles south of there, a couple in their late sixties own and operate a roadside inn for tourists, many of whom come to visit the National Reserve. Every day the husband takes a shovel and digs in the same spot, pulls out a bone from his pockets, and buries it. When the narrator of this story, Le Giang, asks the woman what he is doing, she remarks that their son, who had been an ARVN soldier during the war, had been killed in combat twenty years earlier but they had never recovered his body. This scene sort of sets the tone for what's coming, when a Mrs. Rossi arrives at the inn with her adopted daughter. Her son, Nicola Rossi was an American lieutenant who had served in Vietnam in 1966 and 1967, and had died during a firefight in the forest when a mortar blew up. He had been trapped beneath the trunk of a fallen cajeput tree; missed by the Viet Cong who likely would have shot him in the head had they seen him. Like the old man at the inn, her son's body had never been recovered; she has come to the area hoping to locate his remains and to make another connection with him by visiting the River of White Lilies, a place she knows he'd been. She has nothing to go on except a crude map drawn by someone who served under Lieutenant Rossi, her dream of finding him, and a guide who knows the area like the back of his hand and who has taken many people on the same sort of mission. "When you held a fragment of bone in your hands, or a skull marred with spiderweb cracks, you couldn't tell if it was Vietnamese or American." It is also a story that gives prominence to the dead, which comes as no surprise in this setting. As just one example, there is an excellent short chapter in which a young woman draws on her childhood memories to describe a nighttime visit to a strange marketplace at the site of a deserted village that had been "shelled to ash." While wondering about the "eerie stillness" of it all, she learns that at just past midnight at the beginning of the Lunar Year the dead return from "their yin world into our yang world" in order to "enjoy again our worldly pleasures for one brief moment." I will say that while I enjoyed the book overall, I thought that there were a couple of scenes that could have been left out with no problem. As far as the ending, I'm of two minds there. While it is poignant, realistically speaking what happens probably isn't practical at all; at the same time in a story where the dead speak and walk the yang world, well, I suppose anything could happen. I will also say that the novel is probably not going to appeal to readers who rely on total realism to enjoy a novel. Thankfully, I don't, and I think the way in which the author has constructed this book was the right one. 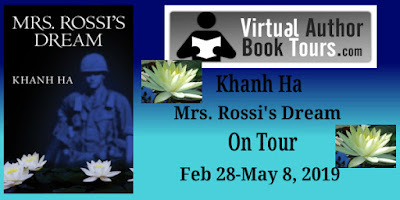 I read Mrs. Rossi's Dream as part of a book tour, and at the tour's website there is an interview with the author as well as a schedule of other readers' blog/goodreads thoughts about this novel. If anyone's interested, there's also a link for a giveaway as well. My many, many thanks to Khanh Ha for my copy. As I said earlier, I believe that this is best he's written so far and I will certainly look forward to reading his next book.